Posted on Thu, Dec 1, 2011 : 3:55 p.m. The Michigan Liquor Control Commission reported a profit in liquor sales of $164.25 million in fiscal 2011, up $7.1 million from 2010. Sunday morning liquor sales boosted the state's profits. Some of the increase in liquor sales in 2011 can be attributed to a year-old Michigan law that allows businesses to sell liquor on Sunday mornings. Former Gov. Jennifer Granholm signed the legislation in late 2010, removing a statewide ban that prohibited alcohol sales before noon on Sundays. Municipalities could “opt out” of the new law by notifying the MLCC of its intention and specifying what time it would permit sales. In the past year, nearly 6,000 businesses statewide paid an extra $160 annual fee to start alcohol sales at 7 a.m. on Sundays, according to the MLCC. The change has accounted for $950,000 in revenue. There are 15,893 active liquor licenses statewide. Washtenaw County has 178 establishments with a permit to serve alcohol on Sunday mornings. There are 73 active Sunday morning permits in the city of Ann Arbor. 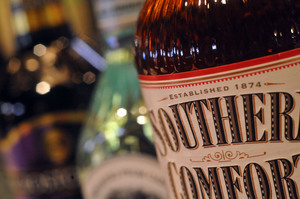 Andy Deloney, chairman of the MLCC, said the state can expect at least “modest growth” in liquor sales into fiscal year 2012. “The future looks strong as we continue to approve new products weekly,” Deloney said in a statement. The liquor commission's profits are transferred to the state's general fund. Sat, Dec 3, 2011 : 3:50 p.m. Isn't amazing that we still have liquor licence quotes in the State of Michigan? Hello! It's 2011. The teetotalling time has long past. Scrap the quotes. Open up the free market. There are restaurants struggling because they cannot get a license to serve liquor. Fri, Dec 2, 2011 : 2:15 p.m.
Is that (really) good public policy? Fri, Dec 2, 2011 : 1:37 p.m.
Fri, Dec 2, 2011 : 2:50 a.m.
Great for the state ---- Make money-- create jobs for the hospitals, ambulance drivers, tow truck drivers, undertakers. Thu, Dec 1, 2011 : 10:48 p.m.
Thu, Dec 1, 2011 : 10:46 p.m. Great!! Now the drunks will be out in full force on Sunday morning's too. As long as we are on the subject...How come there hasn't been a tax increase on alcohol like they do to cigarette's?? I mean drunk drivers kill people instantly.... Slap a $5 dollar tax on the crap and maybe it will help keep the boozers out from behind the wheel of their car since it will force them into a compromise.... Hmmmm walk and get my beer or drive and not have enough to get my beer. Brilliant!!! I'm sure all you drinkers and law makers will disagree....it'd be like shooting yourself in the foot . Thu, Dec 1, 2011 : 10:23 p.m. I wonder if people are drinking more because more people are &quot;out of work&quot; and so they have more time to booze it up? It sounds like &quot;Hope &amp; Change&quot; has happened to me. Fri, Dec 2, 2011 : 4:29 a.m.
&quot;Dawn's the time when you wake, to the challenge of a brand new day You're on your own when breakfast calls, you're tired of the same old way. A.M. Ale! When you need a friend, you don't ask questions, never bother with how or why. I need time, time to think when you're watching the world go by. Oh, if you start right, you feel right, you can make your own rules! If you live righ,t you're alright with a sip of the morning dew. A.M. Ale! For the thirst you've gotta feed. A.M. Ale! It's the drink your body needs. You can trust it with your secrets it's a friend that understands. When you need some answers, just look at the bottle in your hand. It's an A.M. Ale.&quot; A.M. Ale. Because you can't wait until afternoon. Thu, Dec 1, 2011 : 10:21 p.m. It makes sense that if you do grocery shop on a Sunday before noon, one should be able to purchase liquor. If you think the no liquor purchase before noon on a Sunday is strict, go down to Kentucky where many counties are dry. Thu, Dec 1, 2011 : 9:35 p.m. I'll (hiccup) drink to that! Thu, Dec 1, 2011 : 9:17 p.m.
Just because one can now purchase liquor on Sundays doesn't mean that one necessarily drinks it. I tend to grocery shop early to beat the crowds. This new law makes it more convenient to purchase the material in question. Customer friendly is the phrase that comes to mind. Even for those who drink before noon at restaurants, it's good for business. Thu, Dec 1, 2011 : 9:08 p.m.
Thu, Dec 1, 2011 : 9:02 p.m.
woohoo, drunker and...and... what are we spending the extra general fund dollars on again? !